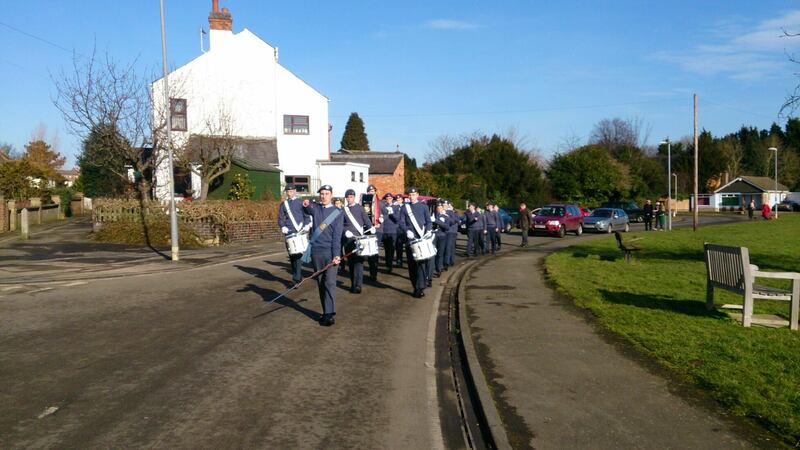 On Sunday 8th February 35 Members of the squadron Merched to Little bowden Church to celebrate the 74th Aniversary of the Air Training Corps. The day started with a Sunny march to the church with a service that talked about participation and the benifits of getting involved. 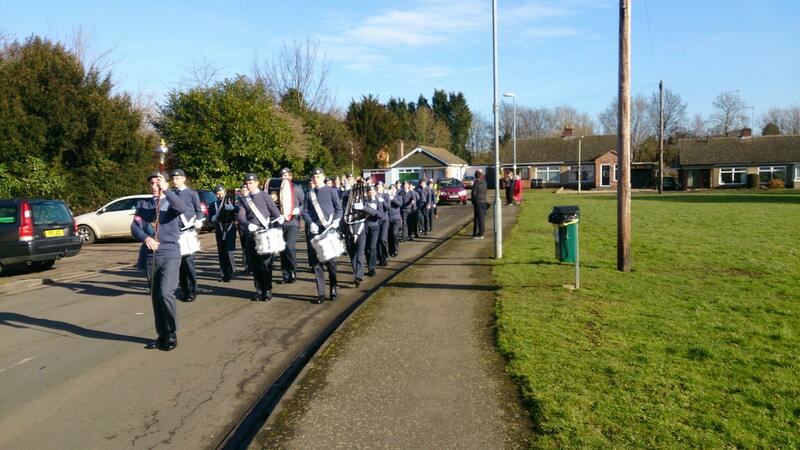 the march back again was in bright sunlight with the Band leading with rousing WW1 tunes as we marched off. OC 1084 Sqn said "Today was another great example of what market harborough squadron do well, showing the town what the towns youngsters can achive"